The Boston Herald is reporting that Google will give the Nelson Mandela Foundation $1.25 million to digitize documents, audio recordings and film clips from Mandela’s life and publish them on the Internet. Google spokesman Luke Mckend said Tuesday that the foundation will scan more than 10,000 of Mandela's personal records, including notes he wrote during his 27 years of imprisonment for his fight against apartheid. The database will be accessible for free on the Internet. According to the Nelson Mandela Foundation website, "The Nelson Mandela Foundation was established after Mandela’s retirement on August 19, 1999 and leads the development of a living legacy that captures the vision and values of Mr. Mandela's life and work." 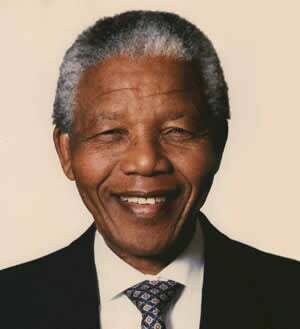 In 2006 the mission of the foundation was amended to include the following: "Contribute to the making of a just society by promoting the vision, values and work of its founder [Mandela] and convening dialogue around critical social issues, while continuing to provide support to its founder." This goal is the core focus of the foundation's Centre of Memory and Dialogue. The donation from Google may sound low in the United States relative to Google's net worth, but it will go an extremely long way in South Africa because of the value of the rand (South Africa's form of currency). Mandela's legacy is worth infinitely more than that to the world. His wish to make it available for free to the Web-connected world speaks volumes about who he is as a man, humanitarian and world leader.